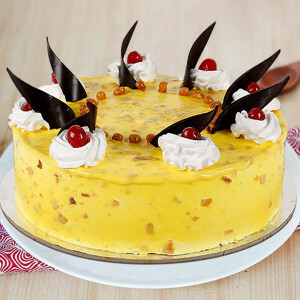 Cherish your love and celebrate the most romantic day by ordering Valentine Gifts for Couple from MyFlowerApp. 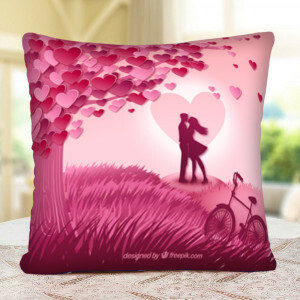 Order cute couple mugs, cushions, and more gifts for your partner and you, and we will deliver anywhere in India. There is only one happiness in life: to love and be loved. Valentine’s Day is the occasion for celebrating that love and cherishing your relationship as a couple. So, this 14 February 2019, express your love to your significant other, by ordering Valentine Gifts for couples that perfectly articulates the affections in your relationship, online with MyFlowerApp. Get couple Valentine mugs with funny quotes like “Queen of Everything; King of Whatever’s Left”, or order a heart-shaped floral arrangement of red roses along with your partner’s favorite red velvet cake and chocolates for yourself. Create combos of things that you both love or make a gesture for your sweetheart by ordering all their favorite things like a cute teddy bear, their favored flowers, and a box of Ferrero Rocher, along with a personalized gift. You can begin this Valentines with a bang, by getting midnight or early morning delivery of your beloved’s favorite flowers and cake, and then gifting them chocolate hampers and other romantic gifts throughout the day. Twinning is a trending move among couples, so how about we move this to Valentine’s as well? Get matching Valentine Gifts for you both and enjoy the domestic yet lovey-dovey feel it gives you. 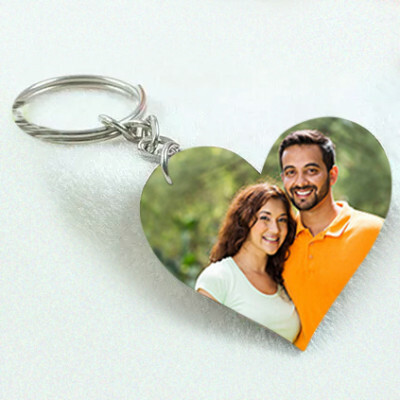 You can get personalized Valentine gifts like cushions, mugs, photo frames, key rings, puzzles and more, with your pictures, or something meaningful printed on them. You can also choose from a wide range of Valentine Cushions for couples that have quotes and other such cute messages on both cushions. One cushion is often incomplete without the other, much like you two are. Whatever gift you decide on, add their favorite flowers, cake, chocolates, or floral arrangements to the combo, along with a romantic message, and we will deliver them for you. We cover all of India and offer free shipping anywhere in the country, including Delhi, Mumbai, Chennai, Bangalore, Hyderabad, Kolkata, Pune, and Gurgaon. If you are the more romantic type or want to do something grand this year, MyFlowerApp brings to you Valentine Serenades. You can pre-book Valentine Week Gifts for your husband, girlfriend, boyfriend, or wife in advance, and we will deliver them for your daily. Send gifts for 2, 3, 4, 5, 6, 7, 8 days of Valentine to your darling, featuring combos of all their favorites. You can, alternatively, also get a professional guitarist to sing a song of your choice, anywhere you want. These luxurious gifts are especially perfect for those in a long-distance relationship. You can now celebrate Cupid’s Holiday with your lover, despite the miles between you. We will deliver the same day or within 3 hours, with our express delivery. Additionally, you can also send your affection abroad, to almost all countries, including the United States, UAE, Singapore, Canada, Australia, UK, Germany, France, Sweden, South Africa, and Malaysia.